AWK − Original AWK from AT & T Laboratory. NAWK − Newer and improved version of AWK from AT & T Laboratory. 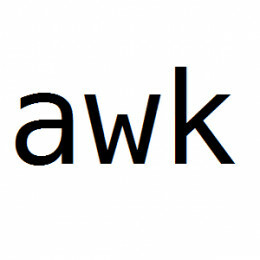 GAWK − It is GNU AWK. All GNU/Linux distributions ship GAWK. It is fully compatible with AWK and NAWK. “AWK” සාමාන්‍යයෙන් ඔබ භවිතා කරන Linux මෙහෙයුම් පද්ධතිය සමග Pre-Installed package එකක් ලෙස පැමිණේ.ඔබ භාවිතා කරන Linux මෙහෙයුම් පද්ධතිය AWK නොමැතිනම් පහත ආකාරයට install කරගන්න. “AWK” file එකක ඇති content display කිරීම. “awk" commands file එකක store කර එය මගින් ඉහත file එකේ content display කිරීම.